This weekend has been truly stressful for many Motorsport drivers and teams. There were several notable moments, which you will gladly tell your friends over the weekend. So, let's summarize those racing weekend very quick! 1. 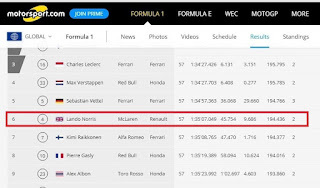 McLaren F1 Team's progress. The Formula 1 Team is definitely on his way to success. There's no one does make loud statements and giving big hopes. In one word doing an excellent job! 2. 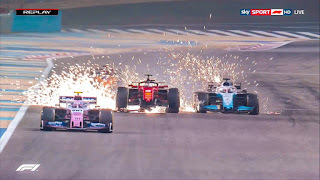 Scuderia Ferrari F1 car's speed and C. Leclerc's talent. Surprisingly, no one expected such Ferrari F1 Team cars agility this weekend. Just on Saturday (Q3) C. Leclerc set a new time' speed record at 1'27.866! S. Vettel could get enough speed to be faster. 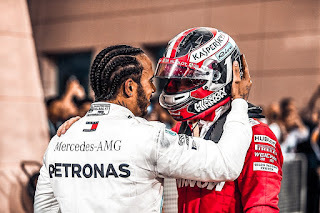 What is surprising, Since that moment there were rumors that in the near future the Ferrari F1 team will distribute teammates. I don't believe it and don't advise you believe it too. 3. 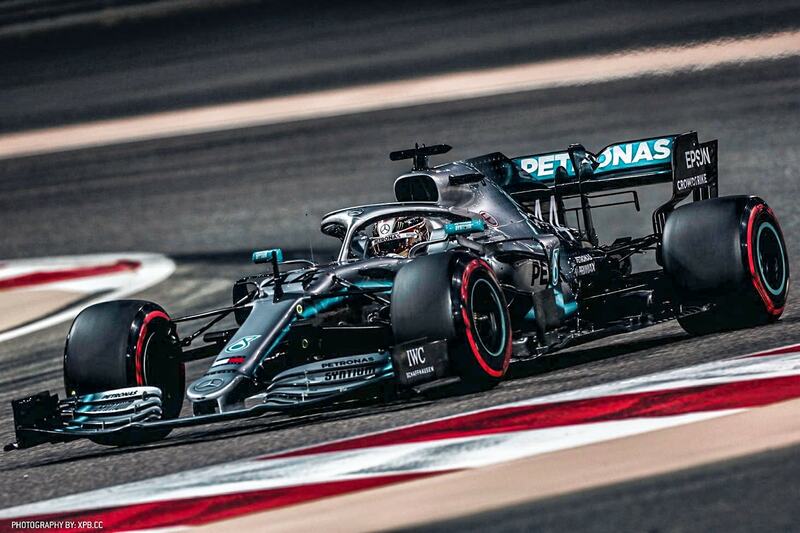 Mercedes F1 cars incredible speed and L.Hamilton's victory. 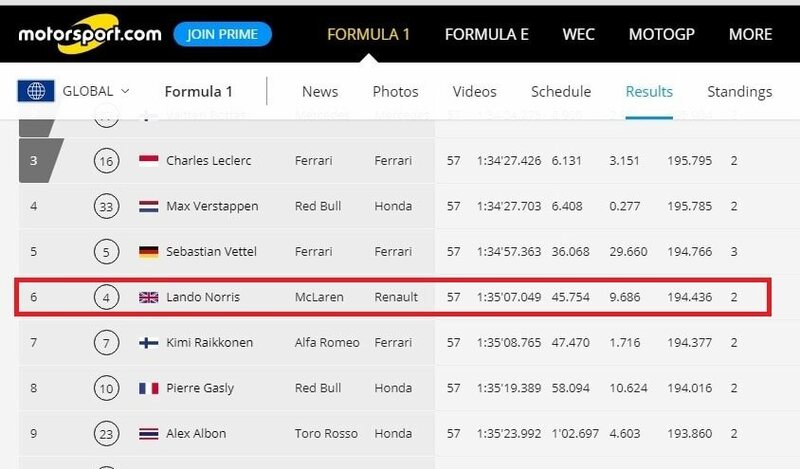 Everyone is talking about a malfunction on Leclerc's car, which let him down in the last laps but I want to take attention to the Mercedes F1 cars speed. What an acceleration! 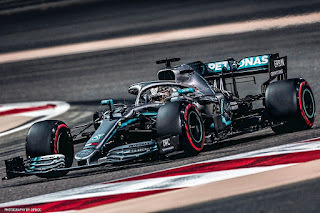 The advantage of Mercedes F1 cars was estimated at 3-5 seconds per lap. It's hard to imagine how fast it is! Sebastian Vettel left the distance cause the malfunction of the car. Anyway, the fight has just begun, all the drive we have ahead. 4. Luck had a different plan with M-Sport. There was a very similar situation with Elfyn Evans on the Tour de Cours. Incredible speed, but despite the obvious time advantage, M-sport car had a puncture of the right front wheel. Elfyn Evans finished Tour de Course on 3 rd. place as C.Leclerc was been 3rd. in Bahrain. WRC Team goes up on the 1st place of manufacturer's championship. One way or another, the championship continues and it is not the time to relax. 6. 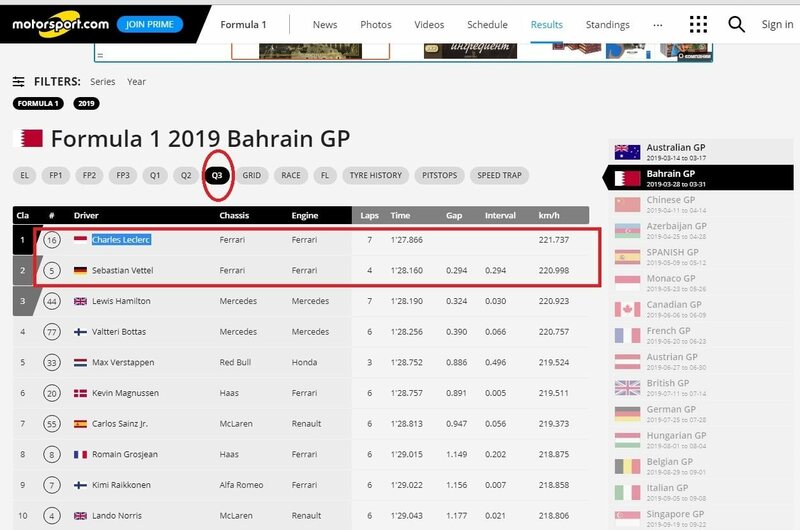 Formula 2 season 2019 has been started. 29 the. March Formula 2 cars finally released on the road. 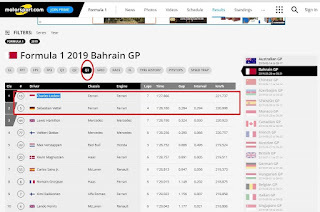 There were first light, first flag and first 2019 win for L. Ghiotto (UNI-Virtuosi Racing), the official start of Bahrain GP was done! By the way, full information's here. 7. 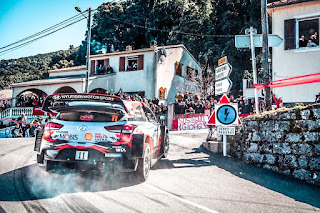 World Rallycross, IndyCar Series, FIA WTCR, Indycar, Formula 1, WRC Rally next stops. Don't forget Formula 1' next stop is scheduled for April 12 - 14th. in Shanghai. Drivers and teams are preparing for FIA WTCR Morocco stage - 07th. April. Same day planned IndyCar Series (Birmingham) 05 – 07 April. Moreover, we're waiting for FIA World Rallycross stage in Abu Dhabi 05 – 06 April. Formula 2 next stop in Azerbaijan planned on 26 - 28 Apr. So, we have a lot of interesting things ahead of us, don't forget to note the exact time and put your alarm clock! No Comment to " Racing weekend: everything that we have to know March 29 - 31th "